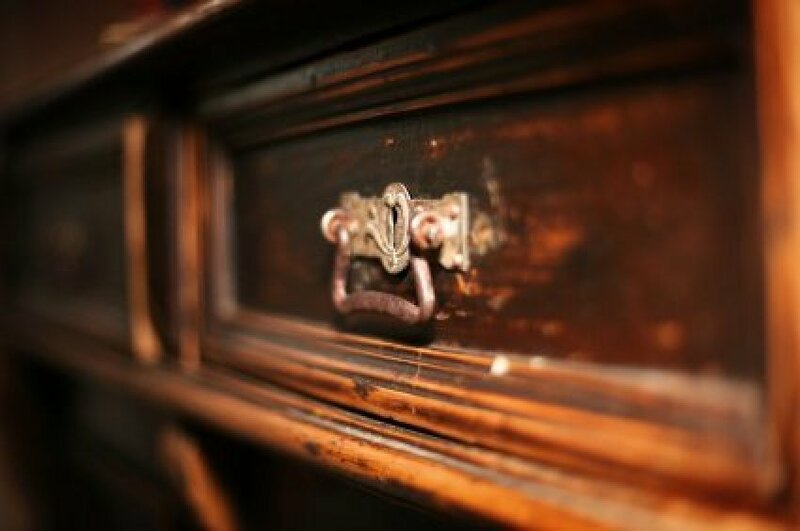 A sticky film can build up on your wood furniture from a variety of sources: smoke, cooking grease, furniture polish, little sticky fingers, etc. The break down of older finishes can also result in a sticky surface. There are some tried and true methods for cleaning this film off of your furniture. This is a guide about cleaning wood furniture with a sticky film. I would like to know how to remove sticky residue from a wood coffee table? My mother in law's furniture was sticky like this. We never figured out if it was because of her smoking or because of years of furniture polish. I made her furniture look brand new by using straight ammonia to clean it & using a scrubbie sponge & a toothbrush to get into the groves. Sometimes I'd use the back of the sponge & sometimes the front. After I finished cleaning the gunk off, I let it dry then replaced the finish by using Old English scratch-covering furniture polish. It comes in a dark & a light finish. When we'd re-done her house & furniture, she couldn't believe the furniture was her's because it looked so nice & like brand-new! 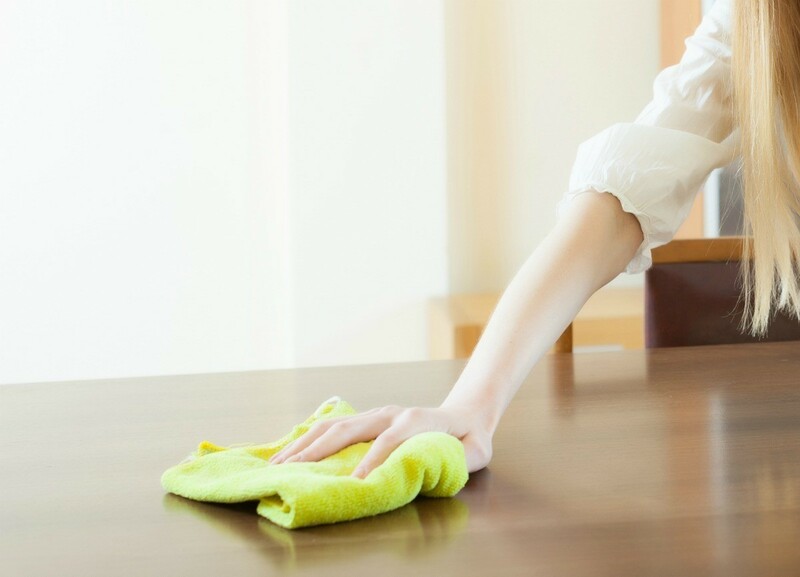 * After the furniture is totally dry after cleaning, apply the polish with a soft cloth, then wait about an hour for it to soak in, then remove the excess polish with a soft absorbent cloth. Lastly, buff it until it shines & looks like new! * Don't use "sudsy" ammonia, use only regular. * Make sure the windows are open if you use straight ammonia! i will try this on my furniture i bought used but forgot the horrible smell of stinch. We inherited a really neat chest of drawers from a Funeral home my husband worked at. It housed cosmetics and sat between the prep room and the dressing room for more than 30 years. I want to repurpose it as a jewelry chest for my daughter. It would like to strip the Formaldehyde build up and repaint it. Can I do this and have it be safe for her or is this a lost cause? Oh my goe. This is the worst advise ever. Amonia can eat throughthe finish and will turn the wood black. Amonia in any strength is used to ebonize wood (blacking wood). In earlier days they used the fumes of amonia to ebonize wood. Industrial strength amoniais actually iaed to strip certain varnishes and shellac. This advise from a cabinet maker and furnitue builder and rfinisher. Don't put that in your daughter's room from a funeral home, that is crazy. Nothing wrong with anything from a funeral home! Superstitious people. I think it would be awesome. That's ridiculous !! I would never follow those ideas!! Very very light dap of soap and little warm water..don't go ballistic with it. Use on very small spot first.. use very soft dry towel turning the cloth to a clean spot often.. buff again with clean cloth .. if you like the way it turned out use lemon oil to get wood to its natural finish.if nothing seems to be working take a very very fine steel wool and just lightly float the steel wool with the grain..than apply lemon oil and it should be perfect ! Formby's is formulated to dissolve old varnish, lacquer, and shellac. If your piece is sticky after using the refinisher, a call to the company may be the best way to fix the problem.